Where is it? 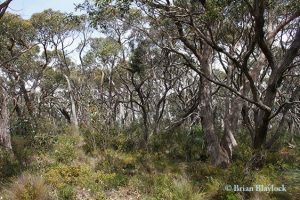 : This park is c. 15km SE of Myponga along Spring Mount Road which is also the border of the northern section. Mount Alma Road dissects the park and also forms the NW border of the southern section. 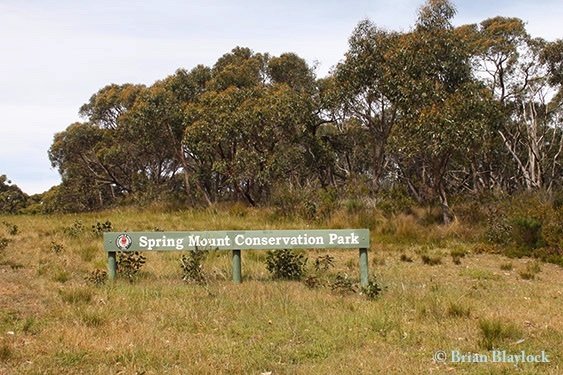 History: Sections 633 and 715 were first proclaimed on 3 February 1966 as Spring Mount Wild-Life Reserve. It was re-proclaimed on 27 April 1972 as Spring Mount Conservation Park. Additions were made on 13 September 1973 and 17 October 2013. Habitat: This is mostly Open Forest of Brown Stringybark (Eucalyptus baxteri) and Messmate Stringybark (E. obliqua) with understorey plants including Myrtle Wattle (Acacia myrtifolia), Beaked Hakea (Hakea rostrata) and Yacca (Xanthorrhoea semiplana).